Launched 3 weeks ago (16 February 2016), Sentinel-3A has already delivered impressive first images for Europe’s Copernicus programme. The 3 instruments on the satellite will be used to measure Earth’s oceans, land, ice and atmosphere. The image above shows Storm Jake over the UK (2 March 2016) taken with the Sea and Land Temperature Radiometer (SLSTR). The SLSTR measures energy radiating from Earth’s surface and helps map carbon emissions from burnt biomass, assessing and estimating damage/recovery from burnt areas. UK space industry has played an important role in developing this technology as well as the Payload Data Ground Segment and components of hardware. SLSTR data will also be carefully combined with SST from previous satellite instruments to measure changes across decades. These activities require major computing power, and the UK has created a facility for collecting and processing large volumes of SLSTR and other data, at Harwell. The National Centre for Earth Observation (NCEO) will use SLSTR to provide essential new information on the land, including fires and land surface temperature, and data to map the radiative heat emitted by fires burning worldwide. UK companies are planning to use the Sentinel-3A data as the backbone of a cost effective information service in a range of areas from flooding to agriculture and aquaculture. 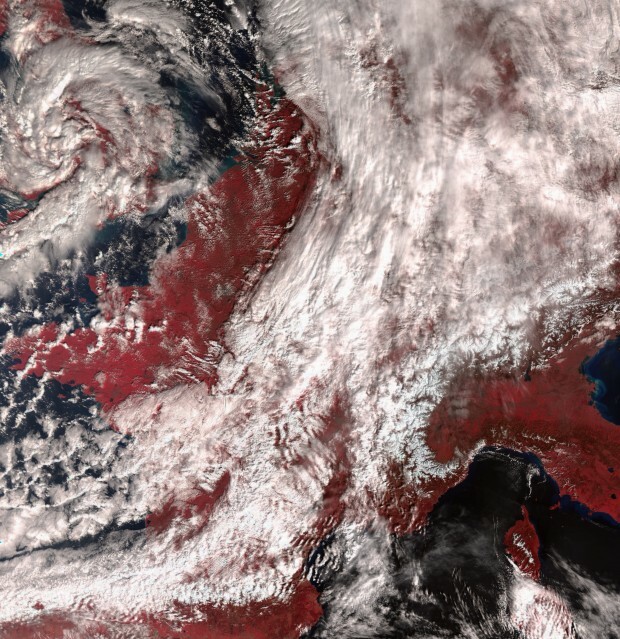 Sentinel-3A data will also be an important contributor to public services such as the Copernicus Climate Service and Copernicus Marine Service. Additionally, the Met Office plans to use sea surface temperature data from the satellite to initialise their weather forecast models. Go to our website to find out more about the UK’s involvement in Sentinel-3A and the Copernicus Programme.